Are you ready for a little more Ivy Lane? I so love this paper, and there are so many colors to work with! These are my club pages for March, and I truly enjoyed creating them for you! With all the snow and cold we've had, it surely was a pleasure to work with flowers! When you order the kit, it is mailed directly to you, and it pre-cut and pre-stamped with full instructions. The cost is $30 shipped. 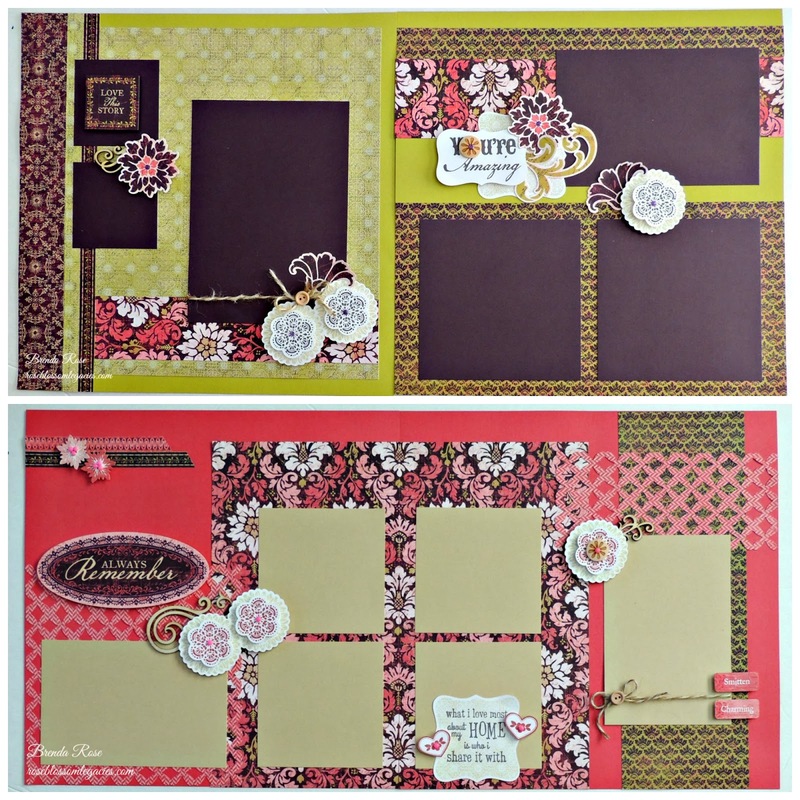 I will be mailing the scrapbook kits on March 3rd. Thanks so much for stopping in to visit me, and I hope that this finds you blessed!